8 ". So cute. Modern take on a chintz pattern. 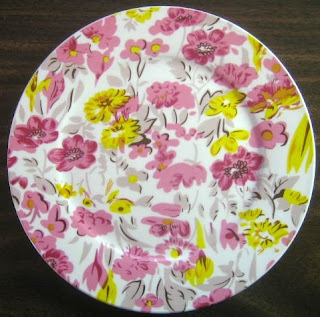 Shop at www.decorativedishes.net and get 10% off orders of $25.00 or more--enter coupon code BLOG at checkout.